Cristiano Ronaldo had not played for his club since scoring a hat-trick to dump out Atletico Madrid in the last 16. 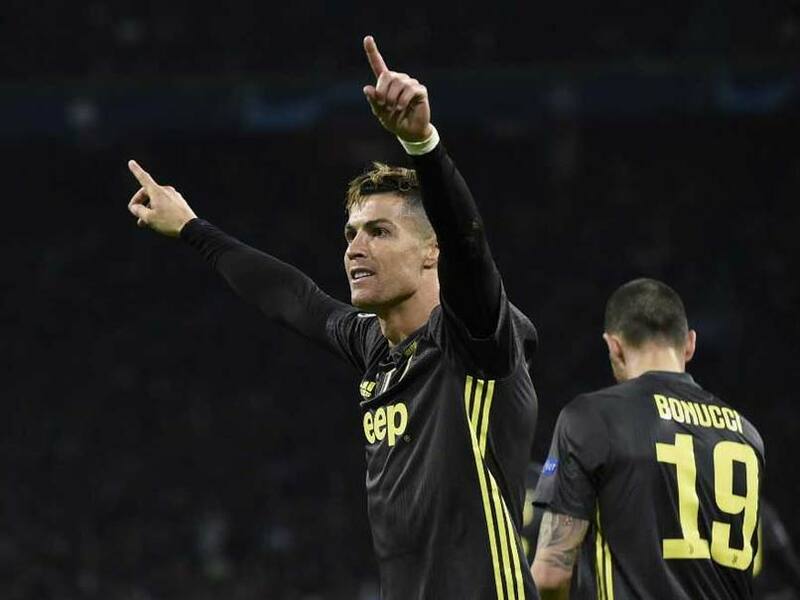 Cristiano Ronaldo was again hailed by Juventus coach Massimiliano Allegri after scoring with his side's only shot on target to earn a 1-1 draw away to an excellent Ajax in the first leg of their Champions League quarter-final in Amsterdam on Wednesday. 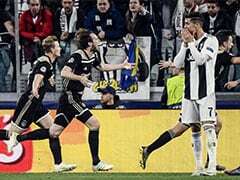 On his return from a thigh injury, Ronaldo subdued the 50,000 home fans in the Johan Cruyff Arena when he headed Juventus in front on the stroke of half-time to take his record goal tally in the competition to 125. However, Brazilian winger David Neres conjured a stunning equaliser almost immediately after half-time to give Ajax a draw that was the very least they deserved. 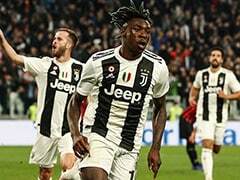 Despite that, it is Juventus -- for whom substitute Douglas Costa struck a post late on -- who hold the upper hand heading into next Tuesday's return in Turin, with the winners of this tie facing Manchester City or Tottenham Hotspur in the last four. "Ronaldo showed that he is on a different level. 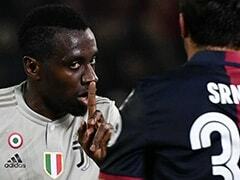 His timing and movement are different to everyone else's, there's nothing you can do about it," said Allegri. Ronaldo had not played for his club since scoring a hat-trick to dump out Atletico Madrid in the last 16, and his goal here saved the visitors in the face of another fine Ajax performance. "Ajax have great quality. We suffered after their goal but we defended well and finished the game better," added Allegri. Ronaldo won the trophy in the last three seasons with Real Madrid, but a fearless Ajax ended the Spanish side's European hegemony in the previous round after a thrilling 4-1 victory in Spain. This result allows them to maintain hope ahead of the return, even if they might feel they should have won here. "He's a world class player but I think we did well tonight," captain Matthijs de Ligt said of Ronaldo. The Ajax coach, Erik ten Hag, added: "It is not the result you hope for, but it is a result. Last time we lost 2-1 to Madrid at home so we are still in it." Ten Hag's brilliant young side is likely to be broken up at the end of this campaign, so this may be the Amsterdam club's best chance in a long time to win a fifth European Cup. Frenkie de Jong is leaving for Barcelona, and the 21-year-old's eagerness to get on the ball and start moves here underlined why the Catalans were prepared to pay an initial 75 million euros ($84.5 million) in January to secure his signature. 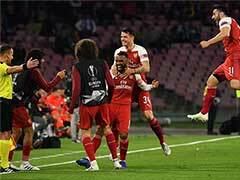 However, it was the Moroccan international, Hakim Ziyech, who was the most prominent going forward in the first half -- one curling effort in the 18th minute was heading for the top corner before being tipped over by Wojciech Szczesny. Donny van de Beek then put a great chance agonisingly wide after being teed up by Dusan Tadic, while Juventus only displayed their attacking threat in patches. Ronaldo was largely quiet, but he was afforded too much time and space by the Ajax defence as he opened the scoring right on half-time. He collected a Rodrigo Bentancur pass, spread the play to Joao Cancelo and then ran unhindered in a straight line into the box to head home his compatriot's cross. It was his 25th goal of the season -- he has now scored six Champions League goals at the Johan Cruyff Arena, as many as ex-Ajax star Zlatan Ibrahimovic. 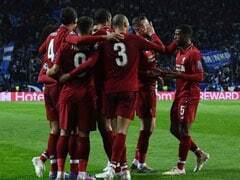 The Ajax fans greeted their team's return for the second half with a rendition of Bob Marley's Three Little Birds, and they were still belting out the words to their adopted hymn when they equalised within a minute of the restart. Neres robbed Cancelo by the left touchline just inside the Juventus half and advanced before curling a shot beyond Szczesny and into the far corner. Exerted home pressure followed, although Costa nearly delivered a late sucker punch as he hit the woodwork at the other end. Ajax are still right in the tie, but left-back Nicolas Tagliafico will be suspended for the return after being booked here.